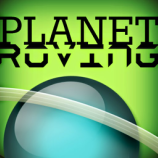 Update- 14/07/15: Planet Roving's Terraria Server will most likely not reopen until we release a major project currently being worked on, which is a server for another popular game. If we receive enough players on that server, then we will consider restarting our Terraria Server if appropriate. Planet Roving's Terraria Server is a fun and friendly server for you to enjoy! It opens in 10am in the morning and closes at 9pm in the night AEST! There are many places to explore both underground and overground! As this is a Free-Build Server, meaning that you can build anything you like, feel free to build a house or even a majestic building outside the spawn area! To rank up even higher (VIP), please contact us using the form below. After we have confirmed your request, you must donate the amount necessary in the link given in the confirmation email. If you are a V.I.P or higher, you get much more privileges than other players. The money you donate to us will help keep the server running and pay for any other costs involved! Remember to like and comment our Terraria Server! Note: All prices stated are in Australian Dollars (AUD). Prices may vary from time to time so make sure to check this page if you have not upgraded. If you are a builder, and would like to upgrade to a VIP, you can by contacting us and we will give you the details.